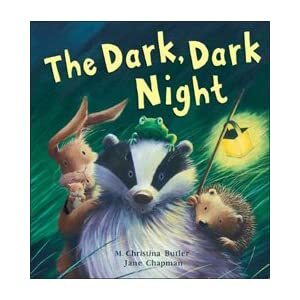 Today we were reading The Dark, Dark, Night by M. Christina Butler, in which frog discovers what he thinks is a pond monster. Rest assured, Mollie, there are a lot of things that don’t get written up here because I’ve forgotten them! I love reading what your storytime kids say. They always make me laugh. I can never remember the things mine say.